Did the Original NAFTA hurt or help America? Signed by President Clinton in 1993, the North American Free Trade Agreement (NAFTA) with Mexico and Canada opened up trade between the continent’s three largest economies. From Ross Perot to Bernie Sanders, NAFTA has been a punching bag for political outsiders of all stripes. Meanwhile, its establishment support has cut across party lines. In October, President Trump signed a new NAFTA trade deal, which begs the question: Was the original free trade agreement a positive one for Americans? Here are three arguments making the case that NAFTA hurt Americans, and three arguments stating that it had the opposite effect. After NAFTA was first signed by President Bush in 1992, that year’s presidential candidate, Ross Perot, warned that the “giant sucking sound” Americans heard was jobs leaving the US for Mexico. With free access to US markets, firms would pay less for Mexican labor south of the border. A year later, in 1993, President Clinton signed NAFTA into law. And more than 20 years later, Perot’s prediction has been validated. The US trade deficit with Mexico stood at $63 billion in 2016 while US manufacturing has seen a rapid decline; from 2000 to 2010 the country lost more than 600,000 manufacturing jobs, as companies moved to Mexico rather than paying higher wages to American workers. The new NAFTA agreement aims to bring manufacturing jobs back to America, among other strategies that will make the country and its neighbors more competitive in the global marketplace. NAFTA’s impact on workers went beyond those who saw their plants close or move to Mexico. Even for those workers who did not lose their jobs, the threat of competition from Mexico lowered wages for Americans in industries such as textile, apparel, and automotive manufacturing. Some business owners and managers do not have to move to Mexico to save on labor costs – they simply must threaten to do so. During collective bargaining, managers can say that they will move their plants south if workers do not meet their terms, and employees can hardly afford to call their bluff. Similarly, this discouraged unionization, a boon for corporations but not for their employees. However, the new NAFTA deal is likely to be beneficial for trade unions. NAFTA is not the only reason wages have been stagnant ever since its signing, but it certainly has not helped. The election of President Trump following his rejection of the trade deal was a clear referendum on how American workers feel NAFTA has worked out for them. And the president’s new agreement promises to reward them. Those who say that NAFTA benefited Mexico while hurting America have it half right. In fact, while it has damaged the American economy, its impact has arguably been worse south of the border. Mexican farmers have been particularly hard hit, struggling to compete with highly subsidized American produce, including corn. Wages have dropped dramatically, as 1.1 million small farmers lost work in the first 12 years of NAFTA. 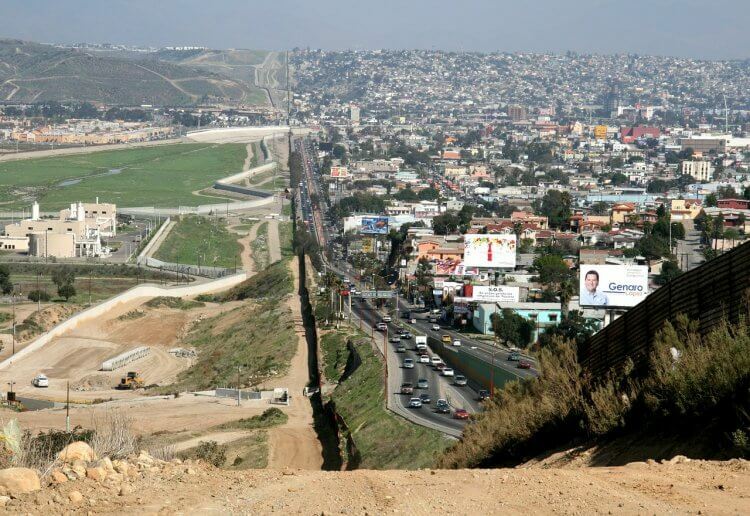 Today, the average Mexican earns less money than before NAFTA—one of the reasons illegal immigration to the United States nearly tripled in the pact’s first 20 years. The new NAFTA deal promises to boost wages in Mexico and improve that country’s outdated labor laws and questionable labor union practices. While acknowledging some negatives, it is important not to overlook the tremendous benefits NAFTA has brought to Americans. Access to Mexican and Canadian markets is essential for US manufacturers; with just 4.4 percent of the world’s population, American innovators cannot be restricted to trading within US borders. Canada and Mexico are the top destinations for US exports, with around $500 billion of American goods flowing to the country’s two NAFTA partners. Exports to Mexico alone have risen from $43 billion in 1993 to $243 billion. Without NAFTA, US businesses would be less competitive. As far as Mexican imports, increased competition lowers prices for Americans. This not only helps consumers, who essentially receive a raise when their purchasing power increases, but benefits American manufacturers who now have access to cheaper component parts. NAFTA – and more broadly, free trade and globalization – are often painted as the culprits in the decline of American manufacturing. But this decline has much more to do with modernization than with globalization. Increasing productivity, driven in large part by technological advances, has allowed companies to do more with fewer workers. While the first decade of the 21st century saw manufacturing jobs falling, manufacturing output actually grew by $800 billion over the same period. Simply put, if new technology allows one person to do the job previously done by five, it will benefit the consumer and the firm, but cost jobs in that sector. While, according to some estimates, NAFTA led to a net loss of around 100,000 jobs through 2010, this number should be looked at on a macro level. Yes, this was significant for those workers and their families, but at just 0.1 percent of the US labor force, this figure is far from economically crippling. Those who say NAFTA helped Mexico while hurting the US have it half right. The original trade deal did help Mexico – but trade is not a zero-sum game. While imports from Mexico represent around 13 percent of total US imports, approximately 82 percent of Mexico’s exports are destined for the US market. This has helped Mexico more than quadruple its exports as a share of GDP in the two decades since NAFTA. Also, increased contact with the developed American and Canadian economies gave Mexico a more open society, leading to significant reforms. The Bottom Line: Since its inception, NAFTA has had a major impact on shaping the Mexican, Canadian and American economies. Overall, it is neither the disaster its critics claim, nor without its problems. Do you think its impact, has shaped America for the better or for the worse? What do you think of its replacement? Is Trump’s Border Policy A Success? Should Puerto Rico become the 51st state? Welcoming the impoverished island into the U.S. has upsides and downsides. How Should We View Joe Biden’s #MeToo Moment? Is coverage for all feasible in the US, or even recommended?